How do we look for life beyond Earth? And how did it first get started down here? To help us take on these big questions, we explore the science of SETI and the chemistry of creating life. Plus, science gets cinematic as we meet the scientific adviser for Prometheus, and find out how his work could help us understand alien atmospheres. 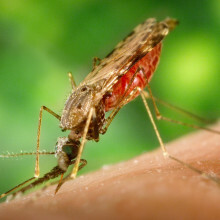 In the news, how to sequence a baby using just the mother's blood, and the simple intervention that could prevent millions of malaria cases. In Question of the Week, can we create life in the lab from just elements and heat? We've been scanning the skies for evidence of intelligence for over 50 years, to find out how, we're joined by Jill Tarter, outgoing director of the SETI institute. Using blood from a mother midway through her pregnancy, researchers have successfully sequenced the complete genome of the woman's unborn child. Writing in the journal Science Translational Medicine, University of Washington, Seattle, scientist Jay Shendure and his colleagues have published their approach to reading the genetic blueprint of a developing baby by piecing back together DNA fragments washing around in the maternal bloodstream. The approach, which according to Shendure cost about US$50,000 to complete, involved three separate phases of genetic sequencing. First, DNA extracted from saliva samples was used to compile the complete genomic fingerprint of the father, while DNA from white cells in the mother's peripheral blood provided the maternal sequence. For the mother, the researchers also painstakingly decoded the DNA sequence from each of her 23 pairs of chromosomes - this is called the haplotype - so that they knew exactly what DNA sequences were sitting alongside one another. The team then also sequenced the DNA contained in the cell-free plasma from the maternal blood sample; by this stage of pregnancy, over 10% of the DNA it contains is of foetal origin. This produced a mixture of sequences, some of which were maternal, others foetal. 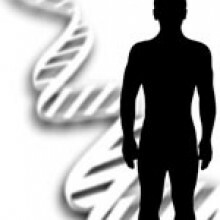 But because the researchers knew the maternal sequence in detail, and what sequences were present in the father, it was possible to pick out and reassemble just the foetal DNA code. And this also meant that 39 new genetic changes (mutations) carried only by the developing baby were also predicted. To check their results, the researchers matched up their sequences with the a version of the child's genome produced using a blood sample from the umbilical cord collected after the child was born. 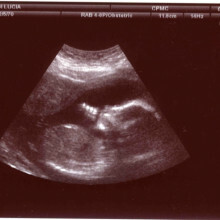 The accuracy of the procedure was over 98%, meaning that it could be employed as a minimally invasive means of genetic screening without the miscarriage risks associated with amniocentesis or chorionic villus sampling tests currently employed. And although the study used samples from 18 weeks' gestation, according to Shendure it should be possible to achieve the same results much earlier in pregnancy just by performing a greater number of sequencing reactions to compensate for lower circulating foetal DNA levels. But it's not a fait-accomplit. "At the moment it's not practical, because it's a lot of effort to do the maternal haplotyping," explains Shendure. "But we're working on that." Never mind wearing unusual clothes or talking in incomprehensible slang, the feeling that your own child may be 'foreign' starts much younger than their teenage years, starting right back in the womb. Because a developing fetus is made of cells bearing genes from both Mum and Dad, it should be recognised as a foreign invader by the mother's immune system and destroyed. The fact that is isn't has been a mystery to developmental biologists for many decades. But now new results in the journal Science from Adrian Erlebacher and his team at the New York University School of Medicine have finally revealed how a fetus is protected from this potentially deadly attack. Their findings could not only help to explain what happens when some pregnancies fail, but could even be extended to improving organ transplants or a treating much more undesirable growth, namely cancer. Normally, when our body detects something foreign, such as a transplanted organ, it starts an inflammatory reaction around the invader, producing signalling molecules called chemokines. These chemokines attract deadly immune cells called T-cells, which set about attacking and destroying the foreign tissue. This is why it's so important that transplant patients take drugs that suppress their immune system. To find out why a mother's body doesn't label her baby as foreign, the scientists turned their attention to a structure called the decidua - the specialised 'barrier' tissue that encapsulated both the developing fetus and its placenta, using mice as a model system. They discovered that chemokine genes had been switched off in the decidua, using a kind of chemical 'tagging' known as epigenetic modifications, so killer T-cells weren't recruited there. This immunological 'dead zone' means that the fetus is protected from immune attack as it grows. At the moment this research has only been done in mice, so the scientists need to confirm whether the same gene silencing is at work in humans. But if it is, there could be big implications for our understanding of why some pregnancies fail, or even why some women give birth prematurely or suffer complications such as pre-eclampsia. The major problem with cancer is that it starts from our own cells, so it's hard for our immune system to recognise and destroy tumour cells. It may be the case that a similar mechanism that protects a developing fetus from immune attack is also helping cancers to avoid destruction, but obviously this needs to be investigated. The results from this research could also open doors in other areas, including organ transplantation and autoimmune diseases, so it will be very exciting to see where it leads in the future. An overlooked cell lurking in the walls of arteries could be the cause of the vascular disease that leads to heart attacks and strokes, new research has revealed. Writing in Nature Communications, University of California, Berkeley scientist Zhenyu Tang and his colleagues show that a previously-ignored form of stem cell, which they dub the MVSC - multipotent vascular stem cell, may be the smoking gun behind the artery-furring process of atherosclerosis. 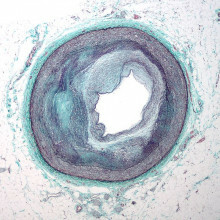 Prior to now, scientists had believed that, in response to injury to the inner lining of a blood vessel by factors such as diabetes, smoking or high blood pressure, the smooth muscle cells that form a circulate coat around the vessel begin to proliferate, forming a bulge that slowly blocks the artery. But when Tang and his team used a range of chemical markers to examine the features of the cells present in the walls of arteries and veins they found a small population of non-muscle cells hiding amongst the muscle. These cells, they found, show all the signs of being stem cells capable of producing a raft of different tissue types, including even bone, nerve-supporting cells and cartilage. And when they made injuries in vessels in experimental animals, the team found that in fact these stem cells were the ones that were proliferating and producing the artery-blocking bulges that characterise patches of atheroma. The stem cells were probably overlooked before, the team speculate, because they also produce new muscle cells so when researchers had examined artery specimens in the past and seen proliferations of muscle they concluded that the muscle itself must be responsible. The discovery of these MVSCs, which, critically, are also present in human arteries, could open the door to a range of new approaches to better managing arterial disease and may explain a host of vascular pathologies, including, given their preponderance to turn into bone cells, the calcifications that characterise some vascular lesions. A protein found in milk can keep obesity and diabetes at bay, as well as improve physical endurance. When given to mice on a high fat diet, the protein nicotinamide riboside was found to prevent weight gain and type II diabetes by entering cells and increasing the activity of mitochondria - the powerhouses of the cell - to improve metabolism. The protein could one day become a supplement but as it is found in a range of foods as well as milk, including bread and beer, a varied diet holds the key until then. Johan Auwerx from the Ecole Polytechnique de Federale lead the work published in Science. Johan - Many age-related diseases from obesity, diabetes to Alzheimer's and Parkinson's disease are linked with defective mitochondria. Here, we provide a natural product which we consume every day which helps to keep these mitochondria in better shape. There are products out there which we can consume, so we're more protected against the decline with aging. Mobile phones are being used to improve water supplies in rural Africa, according to research in the journal of hydroinformatics. Patrick Thomson from the University of Oxford developed 'smart' water pumps containing data transmitters that use the increasing access to mobile networks now available across Africa to send out text messages when a pump breaks down. The technology uses the movement of a pump's handle to estimate its water flow with data sent back to a central office when this flow is impaired to arrange for its repair with 70 being introduced in Kenya later this year. Patrick - Across Sub-Saharan Africa, it's estimated that the third of all hand pumps at any one time are non-functioning. When these pumps break, often the people who are qualified and equipped to repair them do not know that they're broken. So the idea of this system is that the senior the pump is no longer doing its job, not working properly, those people who have the skills and knowledge to repair them though straight away, but the downtimes problems can be shortened and their communities can have access to freshwater. Increasing the spacing between letters significantly improves the readings skills of people with dyslexia. Writing in the journal PNAS, Marco Zorzi from the University of Padua asked 94 French and Italian children with dyslexia to read pieces of text with both standard and double spaced wording and found that widened spacing doubled the accuracy of their reading and increased their reading speed by 20%. The team suggest the spacing overcomes the problem of 'crowding' where letters are closely surrounded by other letters, making them harder to identify. Marco - The findings show that visual attentional factors may play a really important role in dyslexia in addition to problems with it from the phonological domain. This manipulation of letter spacing, is easy to implement. In principle, we don't see why publisher may not print out books with wider spacing. In the era of digital printing on demand that would be very easy and feasible to do. 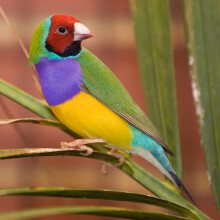 And finally, the personality of a Gouldian finch can be predicted by the colour of its head. Three aspects of personality were measured in 40 of these endangered Australian birds in the wild - risk-taking, aggression and boldness by exposing them to unfamiliar objects, silhouettes of predator birds and limited access to food. The team, led by Claudia Mettke-Hofman from Liverpool John Moore's University found that Finches with red heads tended to show more aggression to access food whilst those with black heads were more bold and risk-taking. Claudia - The red-headed birds, they may have a disadvantage because they are more conspicuous with their red heads so they suffer by higher predation. So it's good for them to be less explorative. The black-headed birds in contrast are their subordinates, but because they are less conspicuous, they can take greater risk and this combination can have important implications for conservation to find the optimal group composition which would give the species the optimal combination to survive in the wild. And that work was published this week in the journal Animal Behaviour. Johannes - Basically - I have to reach up a bit - so these are air samples from Tasmania and is a man-made archive which goes back to 1978. 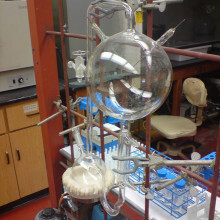 Richard - This metal cylindrical flask is among dozens hanging from the shelves that line the lab. Air inside these containers is reckoned to be some of the cleanest on the planet. Johannes - You can get very clean air from Tasmania which actually has gone to Antarctica and back again to Cape Grim in Tasmania, then you get a representative picture of what the compound is doing on a long-term basis in the atmosphere. Richard - The samples are studied using a machine at the centre of the room which resembles an over-sized photocopier. This mass spectrometer is able to separate and analyse air samples to identify minute concentrations of gases to find chemicals that shouldn't naturally be there. Johannes - We're separating very small amounts of trace gases in the air from the main parts of it which are oxygen and nitrogen mainly and then we still have quite a mixture of different compounds - we have to separate them from each other. When we've done that we actually destroy them. By destroying them we can see a characteristic pattern and that pattern changes over time and gives us the information about which compound is coming through and how much. Richard - What are you interested in looking for, then? Johannes - I'm mainly interested in halogenated gases because some of them have very long atmospheric lifetimes, so once released it takes decades and sometimes centuries or even thousands of years for the atmosphere to break them down again. And these gases, are very often very strong greenhouse gases, so they are actually thousands of times more effective than carbon dioxide. Richard - You're finding these chemicals for the first time in the atmosphere? Johannes - Oh yes, because industry is introducing more and more new chemicals, it's very hard for scientists to keep pace. In addition, our ability to find them has improved significantly, so we can actually find parts per quadrillion in the atmosphere. Richard - So parts per quadrillion? Richard - But when you've got that tiny, tiny concentration of these gases, does it matter if they're greenhouse gases? Johannes - Well, for instance, we've recently detected new perfluorocarbons in the atmosphere, but their abundances are on the order of just below parts per trillion. But that means several thousand tons of these molecules have been released into the atmosphere already and in addition they are very long lived, they won't go away for the next several thousand years. 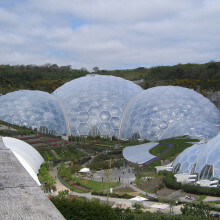 Once added into the atmosphere they become a permanent part of it. Jeff - We found a lot more amino acids, of course, using modern analytical methods. What was interesting was that some of those amino acids look very similar to the kinds of amino acids that we see present in carbonaceous chondrites, a type of meteorite. So, I think this was a nice demonstration that this early experiment had mimicked chemistry not only possible on the early Earth, but elsewhere in the solar system. Chris - Just talk us through exactly what Stanley Miller did and why it's so useful as an indicator of what could have been going on when the planet was much younger. Jeff - Well, the idea was to simulate some sort of early Earth environment. One that Stanley Miller and Harold Urey came up with was a glass apparatus that simulated the ocean/atmosphere interaction. And so, there was a flask that contained water which would represent the ocean, that was connected to a larger flask where there were electrodes that could simulate lightning in the form of a spark discharge. And then from the gas flask, there was a tube running back into the water flask. So this was a cycle where you evaporate water from the ocean, that interacts with gases in the atmosphere which were subjected to a spark discharge or lightning bolt, and then this washes out of the atmosphere back into the water. And so, this was not an ad hoc design. It was a very carefully thought out design. What's interesting is that Miller studied three different apparatus configurations. The one I just described is what we call the 'classical apparatus' because it's the one you see in textbooks. But there was another apparatus that was interesting to us, and that was one in which the water flask was connected directly to the gas flask by a little aspirator, a little tiny tube in which water, when it boiled out of the water flask, was injected into the spark gas flask in the form of a jet of steam, much like a geyser that happens on the Earth today. Chris - Or a volcano, presumably. Jeff - Or a volcano, yes. And so, we were very interested in this because Stanley only published one brief communication on that apparatus, and it strongly suggested that the yields were better than in his classical apparatus, but he never followed through with it for whatever reason. So, when we found all these archived extracts from his original experiments, we were stunned to find all of the ones preserved from not only his classical apparatus, but also from the volcanic apparatus and another configuration. And we were particularly interested in that volcanic apparatus because, like I said, based on his preliminary results, we thought the yields might be higher and so, when we analysed that, lo and behold! We found a lot more different amino acids, ones that had never been made before. In addition, the composition of those amino acids looked even more strikingly similar to what we saw in meteorites. And so, I believe this really is a nice example of how you could have localised systems on the early Earth, consisting of small volcanic systems, where you did a lot of synthesis which before people thought happened in a sort of a global atmosphere. Chris - It's Darwin's warm little pond almost, isn't it? So, you're saying that what they show is that even with very, very simple setups, you can produce really quite complicated molecules which are some of the fundamental building blocks of life systems. And so, it's perfectly possible for Earth, from very, very basic building blocks, to assemble some really complicated molecules that we would have needed? Jeff - That's correct, yes. And the more we get into this, the more compelling that argument - that experiment is today. One of the other things we found was that there were a set of experiments that he did in 1958, in which he isolated these various extracts from the experiment and he carefully catalogued them, set them aside, and put them in these little boxes and then he never analysed them or never reported on them. They're carefully recorded in his notebook, but he never followed through with the final analyses. One in particular caught our attention because it was the first experiment of this type that used the gas hydrogen sulphide, H2S, which smells like rotten eggs. When we analysed that set of samples, we found an even a larger array of amino acids. So you put all these together, both the volcanic, coupled with the H2S experiment; he made on the order of 50 different amino acids which is remarkable, given the simplicity of the experiment. Chris - And what's the relevance to finding this in the chondrites, the meteor samples? Why is that important? Jeff - Well, I think there's been a controversy about whether the atmosphere of the early Earth ever had the composition that Miller used in his original experiments and so, I've heard comments that the pre-biotic soup is irrelevant, that the Miller experiment is irrelevant. Well, the finding, that we found strikingly similar compositions in this spark discharge experiment compared to the carbonaceous meteorites, indicates that this type of synthesis took place somewhere in the solar system. So, the Miller experiment, even though you argue it may not be relevant to the Earth - which I strongly disagree with - certainly took place some place in the solar system. My own thinking is that in the early solar nebula, you made bioelectric discharges. We know that there is intense lightning in solar nebula that produce the reagents you need for amino acid synthesis - aldehydes, ketones, hydrogen cyanide - and those coalesced into the meteorite parent body. And during the time that the meteorite parent body where water percolated to the meteorite, you made the amino acids. So, it's very analogous to what he did in these experiments, but it happened some place in the solar system. Chris - Would the idea then be that it's not just potentially Earth that is making these biological building blocks? It could also be that our entire solar system made them. They happen to land on Earth as much as anywhere else and Earth was the right place for life to then get spawned? Jeff - I think that's probably true, yes. You had both home grown synthesis directly on the Earth and stuff falling in from space which all contributed to this primordial soup that led eventually to more complex molecules that eventually spawned the first self-replicating entities which was the origin of life. 50:03 - What is intelligent life? We're very pragmatic [at the SETI Institute]. For us intelligence is the ability to construct and operate some kind of transmitter that modifies their environment in ways that we can see over under stellar distances. 50:37 - Were Miller's results right- or left-handed?? Were Miller's results right- or left-handed?? Jeff - No. The amino acids that were made in the Miller experiment were equal handedness, what we call a racemic mixture. 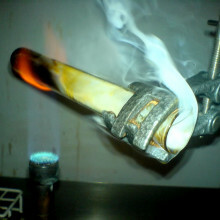 That's what you expect from a pure chemical synthesis. You only get handedness when you have some sort of interaction than in itself has some sort of handedness and in this experiment, there was no such interaction and so, you get completely equal handedness in the amino acids that are produced. Chris - I suppose that must give you confidence too, that the tubes haven't been contaminated because if you had seen all of one sort of handedness and not another, you'd know that probably the source was a biological source that have crept into the tube later. Jeff - Yes, that's correct because if there was any biological contamination, it would consist primarily of the left-handed amino acids and so, you should alter that equal mixture of abundances. But there is also amino acids in this mixture that in fact, a majority of them are not found in living organisms, and so, you then rule out contamination on that basis alone. 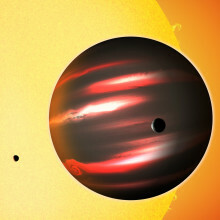 52:03 - What technology could help find alien life? What technology could help find alien life? Well, we're using the radio part of the spectrum and the optical part of the spectrum. We'd like to take our techniques into the infrared. 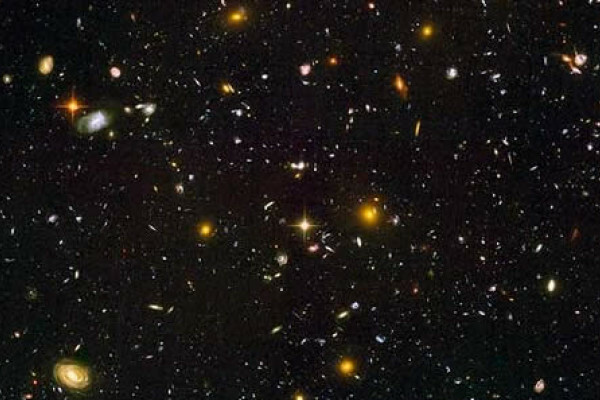 There's less absorption and scattering by dust between the galaxies in the infrared than there is in the optical. And basically, none of our experiments do a really good job at transient signals, things that just go bump in the night once. We know how to do that search. It just takes more computer power than we have on Earth at the moment. 52:46 - Have hydrothermal systems been found on celestial bodies other than Earth? Have hydrothermal systems been found on celestial bodies other than Earth? Well, I think it's an interesting one. The extremophiles that could potentially be detected by direct planetary probes; so going to our local neighbours and actually trying to look for microbial life, that where we're identifying these will potentially be around Jupiter, the Callisto, Ganymede orbiters, potentially to go underneath the ice surfaces of these moons of Jupiter. 53:23 - How does SETI get around the problem of radio noise? 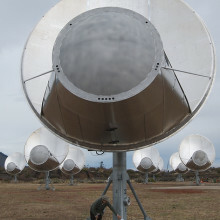 How does SETI get around the problem of radio noise? Well in fact, our signals are contaminated and that's why, at the SETI Institute, using the Allen Telescope Array, we do our signal processing in near real-time and we keep very good databases of all of the signals that we found and have seen recently. And we do a lot of comparison, a lot of reclassification, and then if we think it's something we haven't seen before, we actually immediately go back and look again. And we look on source, we look off source while the signal is likely to still be persistent, we chase it down. 54:52 - Can we create life from basic elements? Lee - This is a really important question because it allow us to define life beyond the current toolbox that is used in biology on planet Earth. But, to answer this question, we need to side step the definition of life and instead ask a different question which is, what is the minimal unit of matter on planet Earth that can exhibit and undergo Darwinian evolution in an autonomous fashion? And the result is both obvious and startling. It's a very simple cell - bacterial cell, amoeba and so on. So, what we've tried to do in my lab is to engineer all inorganic cells to see if we can put these features together. So, by using molybdenum or tungsten oxides, we've been able to make very large clusters containing many hundreds of units. But not only that. We can have different building blocks templating the clusters. So we almost have an analogy to DNA, RNA and proteins in the clusters built in. So the question now is, can we get this system to boot up to replicate and evolve? And for that, you need to watch the space. Hannah - So, our version of life uses DNA and protein building blocks. But you can create a different type of building block by making clusters of basic metallic elements that can form structures similar to membranes and enzymes. But, getting these clusters to replicate, mutate, and evolve by themselves has not yet happened. So, we're not quite there yet. Previous Can we create a living organism from basic elements?